Tejashwi Yadav declared on Monday that it was the people of Uttar Pradesh and Bihar who will play kingmaker in 2019 Lok Sabha elections. 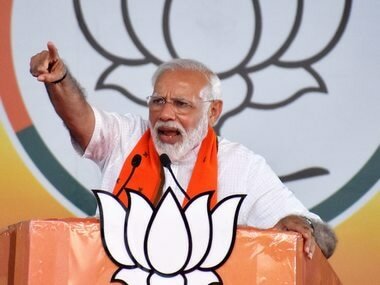 He claimed that the BJP has been surfing against the tide that the saffron party will lose close to 100 seats in Jharkhand, Bihar and Uttar Pradesh. "The message of this alliance has gone not just across Uttar Pradesh but also across the country… UP and Bihar will define who is going to form the central government," the Rashtriya Janata Dal leader told reporters after backing Akhilesh Yadav and Mayawati's alliance. Tejashwi’s statement was a political one, aimed to undermine his archrival, the Bharatiya Janata Party. And the Samajwadi Party and Bahujan Samaj Party alliance too is forged in the same vein, inspired by the will to keep BJP out of power rather than any ideological similarities between the two parties. 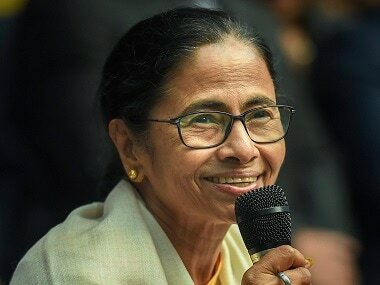 However, the regional satraps could be correct in their pronouncement to the extent that the alliance does seem to be eating away at BJP’s share of votes in the politically crucial north Indian states. 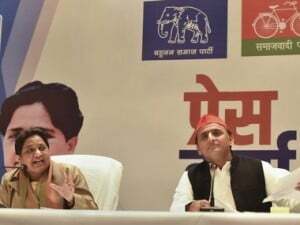 The two rival parties — Mayawati's BSP and Akhilesh’s SP — on Saturday announced that they have reached a 50-50 seat-sharing deal in Uttar Pradesh. Out of 80 Lok Sabha seats in the state, SP and BSP will contest on 38 seats each and have left two seats for the smaller parties. They have also decided to leave out Amethi and Raebareli for Congress without any official alliance with the party. The two states together send 120 MPs to the Lok Sabha — 80 from Uttar Pradesh and 40 from Bihar. Add Jharkhand to the equation, which has another 14 seats, then there would be 134 seats from the region. Out of these, the NDA has close to 118 seats. In Uttar Pradesh, the NDA won 73 Lok Sabha seats out of 80 in the 2014 Lok Sabha. However, an India TV-CNX opinion poll survey predicts it is advantage gathbandhan in the upcoming general elections. The survey claims that if elections were to be held today, the NDA would be restricted at 29 seats, whereas the SP-BSP alliance will win 49 seats. Congress will retain its two seats from the last election and others including smaller parties and independents may win five seats. Earlier, the ABP News-CVoter survey also predicted a slip in NDA’s vote share if the alliance was formed. The survey claimed that out of the total 80 seats in Uttar Pradesh, 50 will go to the SP-BSP combine along with Ajit Singh's Rashtriya Lok Dal; NDA will be restricted to 28 seats as compared to 73 seats to 2014. The Congress will only manage to win two seats. Likewise, a look at the poll results from 2014 also suggests that if these parties manage to successfully transfer their votes to each other then they are neck and neck in competition with the BJP. The vote shares of SP and BSP when combined came within touching distance of BJP even when the Narendra Modi wave was at its peak during 2014 Lok Sabha polls. This time around, it is quite likely that the SP-BSP alliance is able to combine the Dalit, OBC and Muslim votes, whereas Congress might make a small dent into BJP’s upper caste voter base. In Bihar too the Mahagathbandhan might thwart the BJP from repeating its 2014 performance even as it suffers teething trouble in coming up with a seat sharing formula that is acceptable to all its allies. 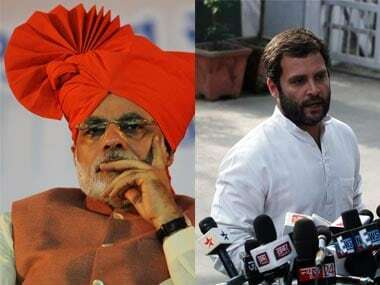 The NDA in 2014, which included the Lok Janshakti Party and the Rashtriya Lok Samta Party, had won 31 seats in Bihar and contributed significantly to NDA’s Lok Sabha tally. However, this time around there has been a 180 degrees change in alliances and loyalties in the state, which renders the 2014 data of little use. For instance, the Janata Dal (United), as part of the Mahagathbandhan, contested on 23 seats at the time but it could win only two. The RLSD and Hindustan Awami Morch (HAM), both NDA allies are part of the Mahagathbandhan this time around. But despite this, opinion poll surveys predict that the Opposition parties are growing stronger in Bihar. The India TV-CNX opinion poll claims that BJP is likely to win 13 seats, and the NDA combinedly would get 27 seats out of the total 40. The Mahagathbandhan, on the other hand will win 13 seats if polls were conducted today. However, the BJP may still have a chance in Bihar as the saffron party has taken a step back to accommodate its allies, whereas the seat sharing talks have exposed the chinks in the armour of the Mahagathbandhan. Reports suggest that the BJP is ready to cede electoral space to allies in Bihar. The BJP and the JD(U) will contest 17 seats each, while the LJP will contest six out of the total 40 Lok Sabha seats in the state, Livemint reported. On the other hand, the Mahagathbandhan is facing trouble finalising the seat sharing formula following the entry of Upendra Kushwaha-led RLSP and the Mukesh Sahani-led Vikasshil Insaan Party (VIP). Left wing parties CPI and CPI (ML) are also expected to be part of the Mahaghatbandan, however, each demand their share of cake, which complicates the seat sharing process. Moreover, there is JD(U)’s rebel faction led by Sharad Yadav, which would also want that Tejashwi makes adjustments for the leaders who gave up Rajya Sabha and Lok Sabha seats and suffered expulsion from JD(U) to back the Mahagathbandhan.